Angelica seed essential oil has been described as having strengthening properties and as promoting emotional balance. It has a fresh scent with more top note impact than Angelica root essential oil. 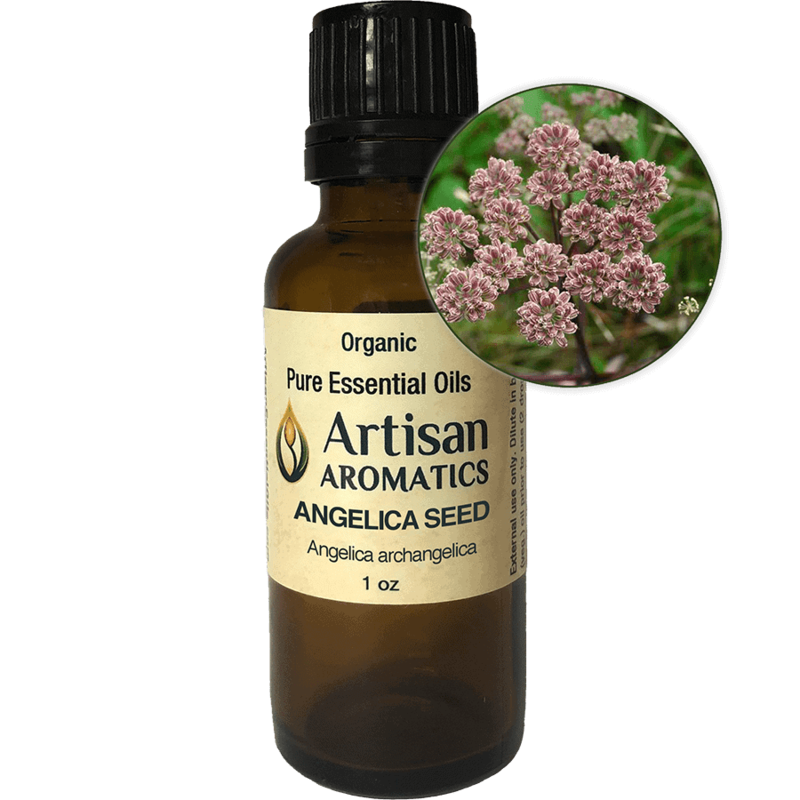 Our angelica seed essential oil is ethically wildcrafted in Hungary. 2ml bottle comes in a gift box. Angelica seed essential oil has a fresh, spicy, green aroma. It’s been described by aromatherapists as having restorative and strengthening properties and has been said to promote emotional balance. Historically, angelica was one of the most revered herbs of the Middle Ages and was believed to provide spiritual and physical purification and protection. Knowledge of its uses was believed at one time to have been a gift of the archangels Gabriel and Raphael. Note: All information on this page, above and below, is provided for educational interest only. Nothing here is intended to make claims for our product “Angelica Seed Essential Oil”. Your experiences with an essential oil may differ from any one else’s experiences. No information provided here is intended to be used for the diagnosis or treatment of any physical or mental illness. Please pay attention to the safety information provided below in order to insure that your experiences with this product are good ones. 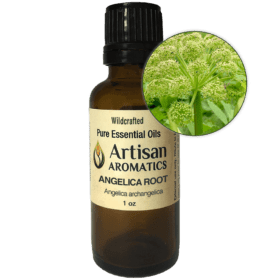 In aromatherapy, the actions and uses of angelica seed essential oil are said to be similar to those of angelica root essential oil, except that angelica seed essential oil is NOT phototoxic, which makes it somewhat easier to use for topical applications. In perfumery, angelica seed essential oil is said to have more top note impact than the essential oil of angelica root. 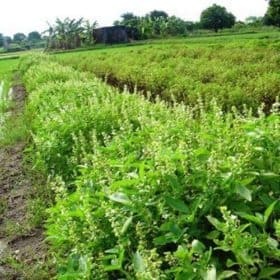 In natural perfumery, Angelica Seed essential oil is prized for its fresh, spicy scent, which has more top note impact than the essential oil derived from Angelica root. Aromatically, it blends well with citrus oils, conifer and fir oils, Clary Sage oil, Frankincense oil, Patchouli oil and Vetiver oil. 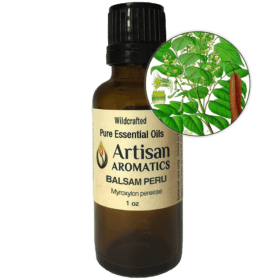 We find that this is a useful essential oil to use alone or in combination with other essential oils and we like to put a drop or two in an aroma locket, on a fan diffuser or in a steam inhalation. With proper dilution, this essential oil can also be used for topical application, including massages, warm compresses and baths. 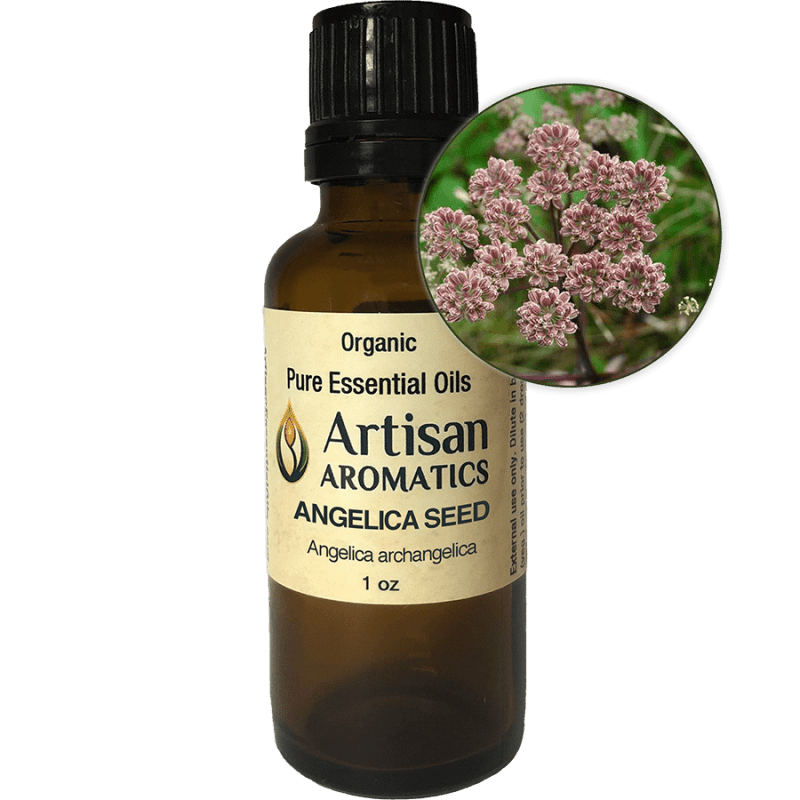 Angelica seed essential oil is NOT phototoxic so it can be used on the skin with a standard safe concentration of 2.5% in vegetable oil or other fatty base. To create a massage oil with a 2.5% concentration of Angelica Seed Essential Oil, add 23 drops of the essential oil to one ounce of vegetable oil. For bathing, add up to 5 drops of the essential oil to a tablespoon of jojoba oil or Castile Soap. Read “Safety Considerations” below before using Angelica Seed Essential Oi. 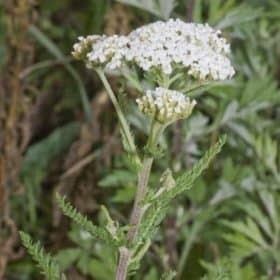 In Chinese Medicine, Angelica herb was highly revered and was said to be associated with the respiratory and digestive systems, as well as the female reproductive system. 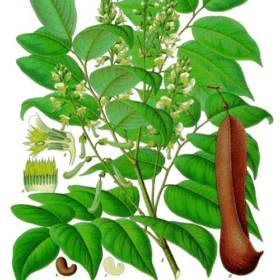 It was used to fight infection, normalize menses, and address digestive complaints. Some modern practitioners of Chinese Medicine have also used the essential oil of angelica (root or seed). Follow general safety guidelines for use of essential oils, as noted below. 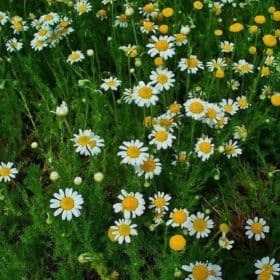 This essential oil is generally considered non-toxic and non-irritant IN SMALL AMOUNTS; use sparingly. 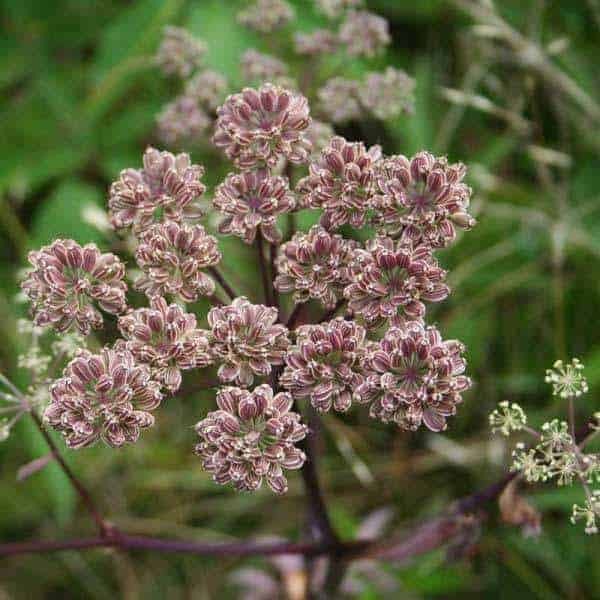 Some aromatherapists have cautioned against use of Angelica Seed essential oil during pregnancy and in cases of diabetes. 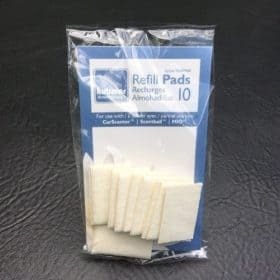 Although we do not advise internal use of ANY essential oils except under properly qualified medical supervision, some experts have specifically cautioned against internal use of Angelica seed essential oil.